Good news! 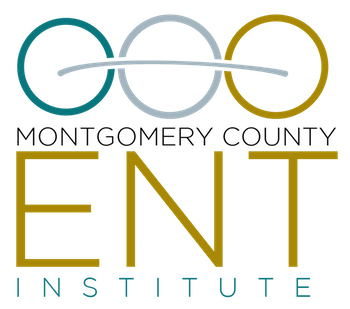 Montgomery County ENT Institute has partnered with TruHearing to provide low cost, quality hearing solutions for individuals struggling with hearing loss, but were unable to afford help. Retirees and members of many union plans now have access to these new programs. If you have found the cost of obtaining new hearing aids beyond your reach, or if you want to experience the benefit of new technology available in hearing aids today, give use a call at 215 887 7380 today. We can schedule an appointment for you, and help you determine if you qualify for these exceptional programs. What is laryngopharyngeal reflux, or LPR? This is a common disorder where acidic contents from the stomach go up beyond the esophagus and into the area around your voice box creating irritation and inflammation. Small amounts of acid can damage this area of your throat since it is not equipped like the esophagus to handle acid exposure. As few as 3 reflux episodes can cause severe laryngeal inflammation and injury. This is the name given to LPR since many patients do not experience classic heartburn or indigestion, and in fact, may be completely unaware it is occurring. Some common symptoms of LPR include hoarseness, a feeling of mucus in the throat, or throat clearing. It may occur when you are upright or lying down. Swelling and irritation around the voice box can be indicative of acid reflux. Your ENT provider has special scopes to visualize this area in the office. A 24 hour pH probe monitor is a great test to objectively measure and confirm acid reflux. This test detects acid that occurs above your esophagus. A small probe is placed into one nostril and sits above the back of the throat. It does not interfere with eating, drinking or sleeping. This test is more sensitive in diagnosing LPR than traditional pH testing. Additionally, this test is easy to administer, is more comfortable and less expensive than standard pH manometry. What is the best treatment for LPR? Your doctor may prescribe a Proton-Pump Inhibitor (PPI) or a different class of antacid medication. It is important to take the medication every day as prescribed. It can take 4-6 weeks for the inflammation to appear improved on exam. Besides medication, lifestyle changes are very important. Elevation of the head of the bed (using wooden blocks or a wedge pillow) is a great way to decrease acid reflux at night. Some studies show this to be more effective than medication. Avoidance of caffeine, chocolate, acidic juices (OJ, Grapefruit), peppermints, and spicy food help. It is beneficial to stop eating 2-3 hours before lying down, and to eat smaller, more frequent meals rather than large meals. Why is it important to treat LPR? Laryngopharyngeal reflux has serious potential consequences. Barrett’s esophagus is a precancerous condition of the esophagus that happens in a small percentage of people who have acid reflux. Chronic acid exposure creates changes in the esophagus which can potentially become cancer of the esophagus. It is important to have routine checkups with your ENT provider. Dealing with a skin cancer can be a very stressful experience. When the cancer is on the face, it may pose serious functional and cosmetic issues. Facial skin cancers can be removed and repaired by a Facial Plastic Surgeon. Sometimes the cancer may be removed with a procedure called Mohs Surgery, performed by a specially trained Dermatologist called a Mohs Surgeon. Repairing the resulting defect may require a Facial Plastic Surgeon. Dr. Ondik is a Board Certified Facial Plastic Surgeon and has extensive experience in repairing all areas of the face, including total nasal reconstruction. Dr. Ondik will coordinate with your Dermatologist or Mohs Surgeon to remove and/or repair the resulting skin cancer defect. He will spend time explaining the repair options. Each skin cancer repair is carefully chosen to restore the function of the facial component and ensure the most cosmetically superior result. In recent months there has been some exciting developments in hearing research. The New York Times recently reported that pharmaceutical companies have turned their attention to helping people with ear disorders. Hearing loss, tinnitus and dizziness occur when there is significant damage to structures inside the ear, called hair cells. They are using gene therapy to help regenerate areas of the cochlea where hair cells have been damaged. Some companies are having small successes, others, not so much. The good news is that they seem to be on the right track and we are monitoring their every discovery. Take a look at the article. Let me know if you found it as fascinating as I did. Recently aired on the TV show, The Doctors, is a device for the removal of nasal polyps called the PolypVac which we have in our office. This device vacuums and removes the polyps in the nasal and sinus cavities that cause nasal blockage and in some patients, affect the sense of smell and taste. The procedure can be done under local anesthesia in the office. Check out this link and call us for a consultation if you think you may be a candidate. An effective way to treat seasonal grass or ragweed allergy. This is a convenient option for patients who are not able to commit to weekly allergy shots, patients who have a needle phobia, or patients who suffer from seasonal allergies due to grass or ragweed. A rapidly dissolving tablet is placed under the tongue every day in order to reduce allergic symptoms. Therapy should start around January for grass, and May for ragweed, and should be continued throughout the season. The first tablet is given in the office and the patient is observed for 30 minutes. A prescription is given for the grass tablets to be taken at home. Grastek is approved to treat children 5 years and older; Oralair is approved for ages 10-65 years old; Ragwitek is approved for adults 18-65 years old. While there has been an explosion of injectable fillers being used for facial lines and wrinkles, many patients are not aware that these same fillers can be used to improve the shape of the nose. The procedure is called “liquid rhinoplasty” and uses injectable fillers to smooth out depressions or hollows. In some cases the filler can also be used to help camouflage small bumps or humps on the nose. The procedure isn’t permanent, but the results may last up to a year or slightly more. It may be perfect for the patient that has a small nasal imperfection that isn’t interested in surgery. Dr. Melissa Schwartz's sublingual immunotherapy treatment has been a life saver - literally - for our child. This therapy has drastically reduced her anaphylactic allergic responses from trips to the ER to the point where she now eats the very foods that were once so life -threateningly dangerous to her AND all with out painful shots and time consuming visits to a doctors office. Thank you Dr. Melissa for making these valuable, alternative allergy treatments available to our daughter! This office is very competent. The doctor that took care of me (Dr. Ondik) was gentle and patient. I am very pleased with the care here. My family and I have been seeing Dr. Schwartz for over 10 years. I have had several surgeries with her including having my tonsils removed and sinus surgery, I have had allergy shots for several years, my daughter received allergy treatment and now my son is currently being treated for allergies. Dr. Schwartz is very professional, thorough, takes her time with each patient and makes you feel very comfortable. The office staff is very friendly and helpful. It is always a pleasant experience going to Dr. Schwartz’s office. My career involves one-on-one contact with patients, plus large group meetings and giving large lectures, and it is important for me to be able to hear well in all of these different situations. When I realized that my hearing loss was impacting my performance, I knew that I needed to take steps to improve my hearing but was very reluctant to be seen wearing hearing aids. I was so very pleased to meet with Louise Frebowitz. She is extremely knowledgeable, helpful and understanding. She was able to find hearing aids that not only improved my hearing but could function in the various environments in which I needed assistance and which are noticeable only to me. Now not only can I function well in my career but I can hear every word that my granddaughter speaks! When I needed to use hearing aids, I used the Audiology department of Dr Melissa Schwartz, and the experience was unique. The Audiologist was not only extremely competent, patient and knowledgeable, but also warm and friendly. She gave me all the time I needed, and arranged follow up visits in order to use her computer to fine tune the instruments to suit my needs. I strongly recommend Dr Schwartz"s office for anyone who requires hearing assistance. My husband was happy with the hearing aids and the service from Muriel. I will follow Muriel to the ends of the earth. About twenty years ago my ears, nose and throat specialist suggested I have a diagnostic hearing test. The audiologist was Louise Frebowitz, MSPA, FAAA, CCC. What a blessing! Louise was professional, friendly, warm, understanding, and knowledgeable. Although I did not need hearing aids at that time, she took the time to listen, to instruct, to check for clarity of understanding and to offer future assistance. When the doctor retired, I thought I had lost Louise, but I located her several years later working in the office of Melissa Schwartz, DO, FAOCO, FAAOA. A second blessing! In the last few years, Louise has tested my hearing, given me sound advice, guided my steps in choosing hearing aids, while clearly explaining the “whys?” and addressing my anxieties, as well as being available for questions if further clarification was necessary. It has been my pleasure to highly recommend Louise to my friends and colleagues! Located in Montgomery County, PA, we provide comprehensive Ear, Nose, Throat and Allergy care as well as and cosmetic and reconstructive facial plastic services. We are located in Elkins Park and Meadowbrook, a short distance from Northeast Philadelphia, Huntingdon Valley and Jenkintown, PA.